When you factor with Apex, you can use our fuel card program to get discounts on fuel nationwide. 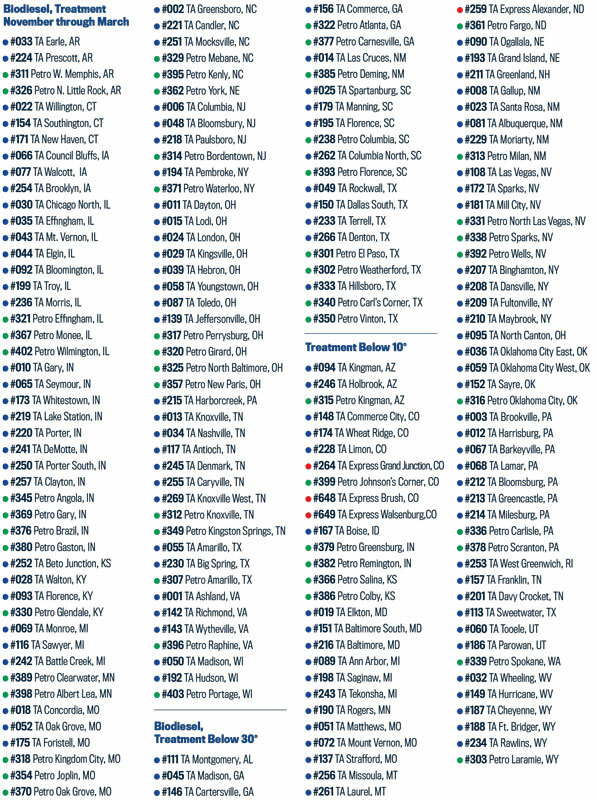 But your trucking company doesn’t just need fuel. Apex factoring clients get extra discounts on truck service, tires and maintenance at TA and Petro truck stops nationwide. 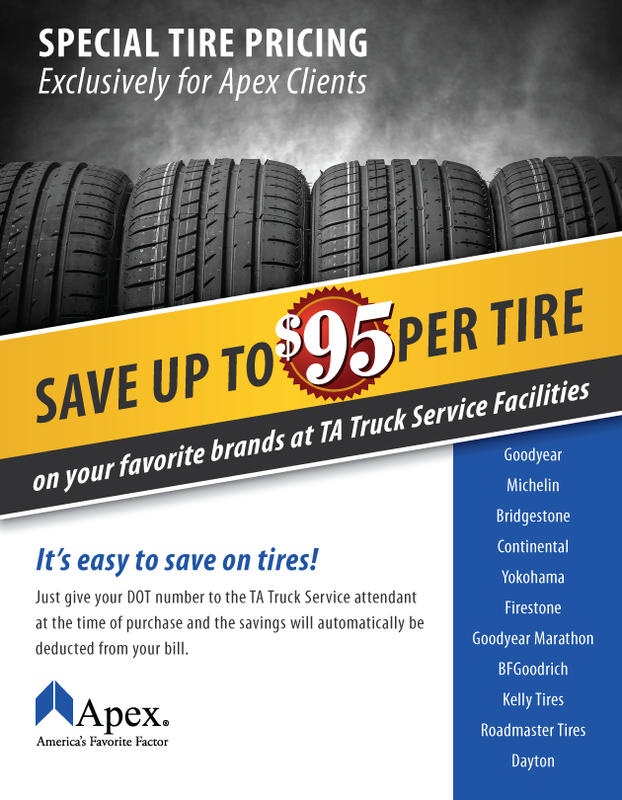 In addition to the Apex discounts, TA and Petro offer special promotions and discounts to Apex clients on tires, service and maintenance. Offer valid November 1,2018. 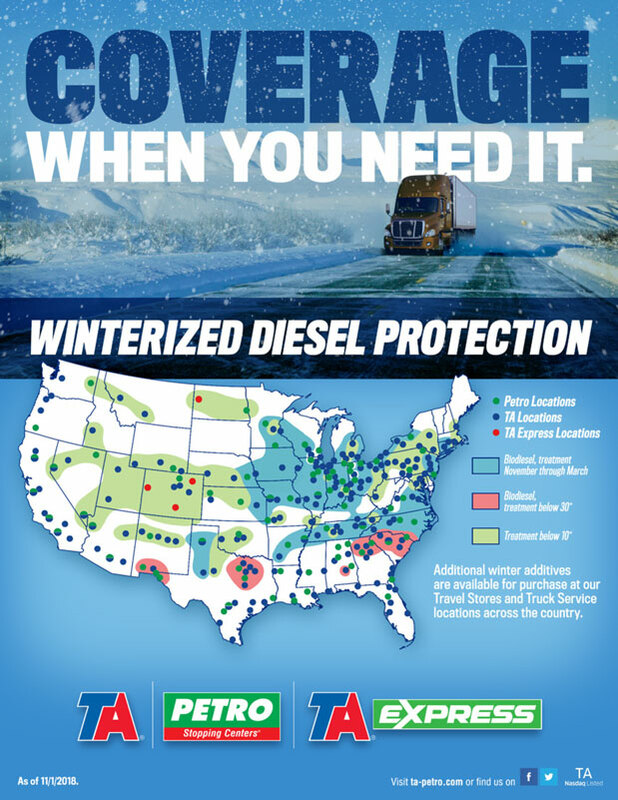 Additional winter additives are available for purchase at our Travel Stores and Truck Service locations across the country. 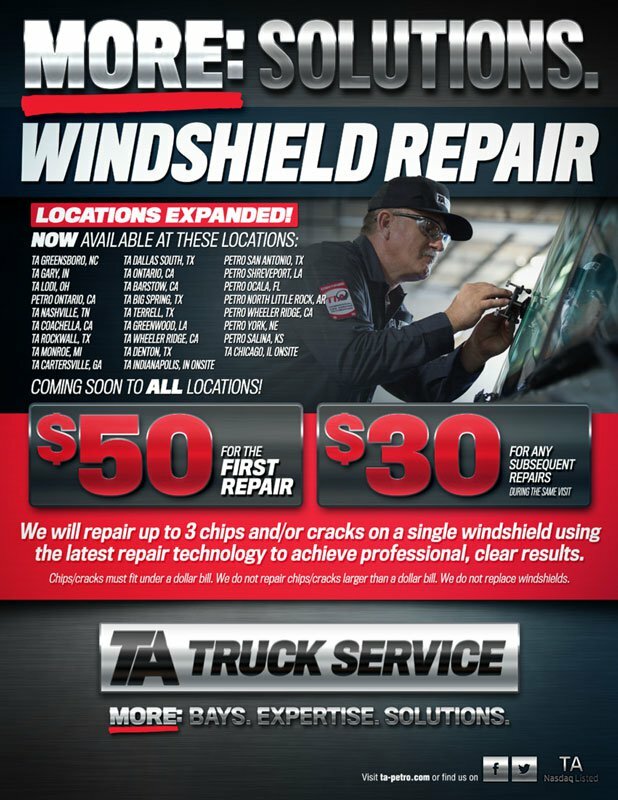 We will repair up to 3 chips and/or cracks on a single windshield using the latest repair technology to achieve professional, clear results.